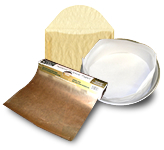 Cheever Specialty Paper is the one-stop-shop for buyers of specialty paper, film and tape. With over 75 years experience, we are the experts at delivering cost-effective supply chain solutions for industry. With Cheever Specialty Paper you never have to compromise on performance or price. Our mission is to draw on the best equipment and expertise for your specific needs, helping you to gain more control and choice across all steps of the specialty paper, film and tape procurement process: Design and Engineering, Manufacturing, Support, and Inventory. The Cheever Hold Inventory Program™ is your solution for inventory cost savings with zero supply interruption. We offer free financing for quarterly inventory, providing an on-demand supply of specialty paper, film, or tape. Learn more. Cost advantage savings with free financing for quarterly inventory. We hold up to 3-month inventory, releasing shipments on-demand. You pay only for the inventory released in each shipment. You maintain full control. Intelligent software that allows you instant access to daily inventory by logging into your account on our website. You maintain the same amount of control you would have in your own warehouse. Save up to 40%. Thanks to our inventory management system we can help you reduce overall financing and shipping inventory costs, eliminating any inventory cash flow peaks and valleys. Create new and superior performance products with Cheever specialty paper. 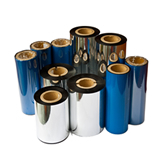 Customized coatings and functional design for manufacturing and packaging use across industry. Get high-performance silicone release papers and liners. From a very easy release of 30 to a tight release of 500, Cheever excels at designing the perfect combination of materials for any application. 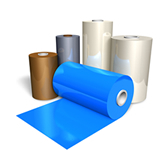 Improve product processing and value-add properties with over 100 variations of specialty film and siliconized release films. Revolutionize your packaging. 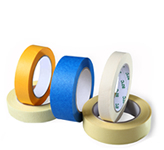 Specialty tape for bonding, sealing, assembly and protective applications in manufacturing and packaging. Deliver more. 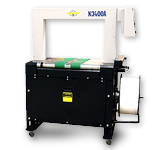 Commercial packaging machines, equipment and supplies for every industry packaging need. At Cheever our advantage is logistical expertise combined with a depth of knowledge across industry. This allows us to curate specialized, high-performance specialty paper, film and tape for varied applications in the Automotive, Building & Construction, Farming & Agriculture, Food & Beverages, Graphic & Photographic, Home & Personal Care and Medical industries. We enjoy helping our clients improve their efficiency and profits from year to year with the Cheever Hold Inventory Program and hold ourselves to a very high standard. Your success is ours too. Contact us today for a consultation or free sample analysis.